All of us have needed to copy our work at one time or another. As photographers we have certainly been asked to help other artists make slides, and now digital copies of our fellow artists paintings, drawings and other forms of expression. 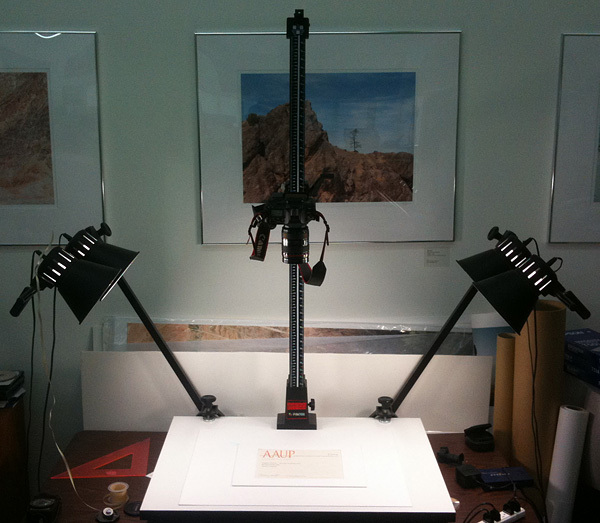 When the original artwork is bigger than a desktop scanner can accomodate, then a copystand is in order with a number challenges coming with the task. Object photography has its own demands much like studio photography in general. But the process of lighting flat copy work and reproducing the color accurately is no small task. There are some tools that can help. 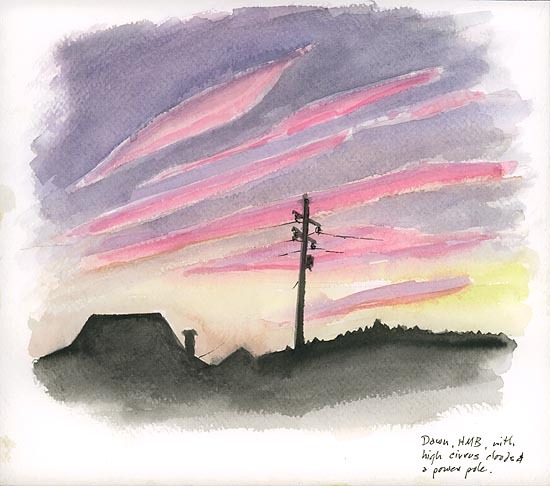 Color balance is critical for copying artwork. It can be a very painful process to try to match the color of the original work. 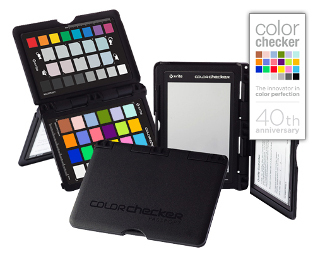 You can encode the color response of your copying camera and your RAW processing by photographing the X-rite ColorChecker on your copystand, then by building a custom profile with the X-rite ColorChecker Passport software. It provides whites and neutral grays to white balance on and a custom camera calibration to use on your copy files as a starting point in Lightroom or Camera RAW. Getting even lighting on the subject is almost impossible. While it is very important to try for an even distribution of coverage with your lights set at 45 degree angles, there is a unique and powerful digital technique/aid available designed to even out slight or even major variation in coverage. It is called Equalight. The process involves taking a picture of the blank lighting itself and using it as a map of the lighting variations that is then subtracted from the copied image. Although it is possible to do this by hand in Photoshop with layers, the Equalight software makes the process much easier and systematic. Watercolor. Ralph Putzker. Betterlight Scanning Camera copy by Stephen Johnson. Here are a few ideas from my friend Robin Myers, creator of EquaLight that will help you. 1. If you are setting your exposure to a white patch on a ColorChecker, or some other target, make sure the white patch is at the brightest spot in the image area. This is VERY important or you may get burned out highlights! 2. 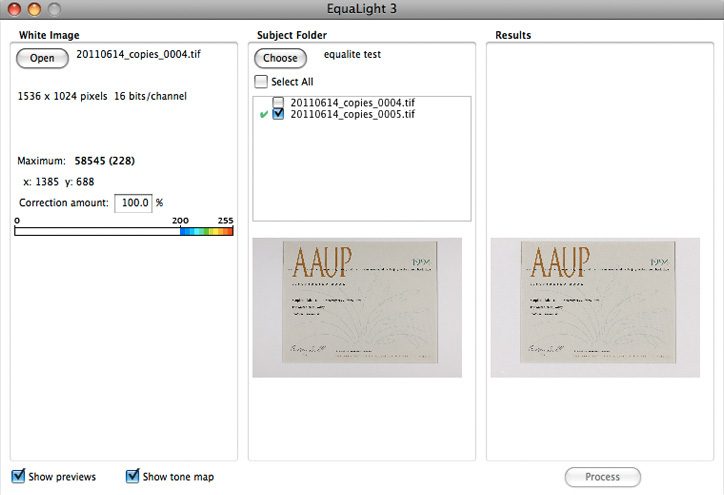 I recommend dusting the white image before using it in EquaLight. This means removing dark dust AND white specular reflections. 3. I also recommend using a Gaussian blur on the white image before use. The radius depends on the size of the original, for my 100 MB images I use a 20 pixel radius (your mileage may vary). Smaller images may require a lower radius value. Often this blurring step will remove tiny dust spots, large ones should be removed as previously noted. Photographs and Text Copyright ©2011 by Stephen Johnson. All Rights Reserved Worldwide.